What most people don't know is Every Medigap policy must follow federal and state laws designed to protect you, and the policy must be clearly identified as a "Medicare Supplement Insurance." Medigap insurance companies in most states can only sell you a "standardized" Medigap policy identified by letters A through N. Each standardized Medigap policy must offer the same basic benefits, no matter which insurance company sells it. Cost is usually the only difference between Medigap polices with the same letter sold by different insurance companies. That simply means all companies are required to sell the same plans but the price can be different. 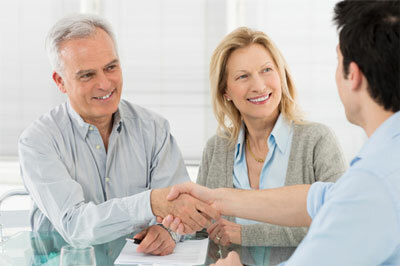 Eldercare Insurance Services is an independent insurance agency. We work for our clients. We are appointed to sell different companies, and that allows us to shop the insurance market so you don't have to. Original Medicare pays for many, but not all, health care services and supplies. A Medigap policy, sold by private insurance companies, can help pay some of the health care costs ("gaps") that Original Medicare doesn't cover, like copayments, coinsurance, and deductibles. Some Medigap policies also offer coverage for services that Original Medicare doesn't cover, like medical care when you travel outside the U.S. If you have Original Medicare and you buy a Medigap policy, Medicare will pay its share of the Medicare-approved amount for covered health care costs. Then your Medigap policy pays its share. Medicare doesn't pay any of the premiums for a Medigap policy. Every Medigap policy must follow Federal and state laws designed to protect you, and it must be clearly identified as "Medicare Supplement Insurance." Medigap insurance companies can sell you only a "standardized" Medigap policy identified in most states by letters. All plans offer the same basic benefits but some offer additional benefits, so you can choose which one meets your needs. Note: In Massachusetts, Minnesota, and Wisconsin, Medigap policies are standardized in a different way. There are two new Medigap Plans-Plans M and N.
Plans E, H, I, and J are no longer available to buy. If you bought Plan E, H, I, or J before June 1, 2010, you can keep that plan. Contact your plan for more information. Insurance companies may charge different premiums for exactly the same Medigap coverage. As you shop for a Medigap policy, be sure you're comparing the same Medigap policy (for example, compare Plan A from one company with Plan A from another company). In some states, you may be able to buy another type of Medigap policy called Medicare SELECT (a Medigap policy that requires you to use specific hospitals and, in some cases, specific doctors to get full coverage). If you buy a Medicare SELECT policy, you also have rights to change your mind within 12 months and switch to a standard Medigap policy. You must have Part A and Part B. You pay a monthly premium for your Medigap policy in addition to your monthly Part B premium. A Medigap policy only covers one person. Spouses must buy separate policies. It's important to compare Medigap policies since the costs can vary and may go up as you get older. Some states limit Medigap costs. The best time to buy a Medigap policy is during the 6-month period that begins on the first day of the month in which you're 65 or older and enrolled in Part B. (Some states have additional open enrollment periods.) After this enrollment period, your option to buy a Medigap policy may be limited and it may cost more. For example, if you turn 65 and are enrolled in Part B in June, the best time for you to buy a Medigap policy is from June to November. If you're under 65, you won't have this open enrollment period until you turn 65, but state law might give you a right to buy a policy before then. If you have a Medigap policy and join a Medicare Advantage Plan (like an HMO or PPO), you may want to drop your Medigap policy. Your Medigap policy can't be used to pay your Medicare Advantage Plan copayments, deductibles, and premiums. If you want to cancel your Medigap policy, contact your insurance company. If you drop your policy to join a Medicare Advantage Plan, in most cases you won't be able to get it back. If you have a Medicare Advantage Plan, it's illegal for anyone to sell you a Medigap policy unless you're switching back to Original Medicare. Contact your State Insurance Department if this happens to you.